While the Library System has maintained hours and staff, the book budget has been severely decreased—by over 46% in the last two years. As the Library Bond Program brings new libraries on board, it is critical that the operating budget not fall behind. Your advocacy for continued support of the Library System is essential. 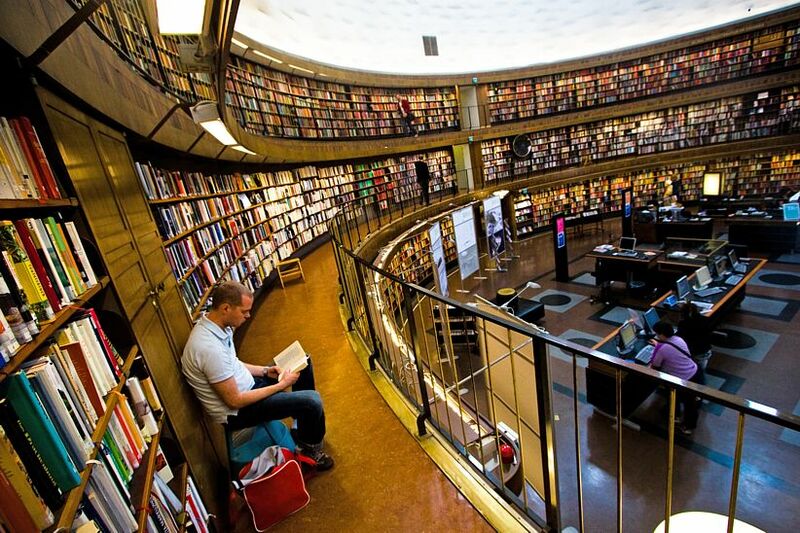 In tough economic times, citizens need libraries more than ever! The final public hearing is coming up! 141 Pryor Street SW Atlanta. If you would like a list of talking points, directions to the Govt. Center, or the procedure for speaking at a public hearing, email us at email@oceefriends.org, and I'll shoot you a reply! 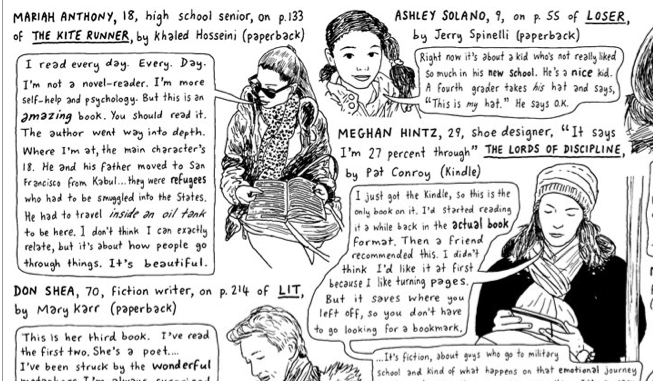 Little glimpses into readers' worlds, while riding the subway. 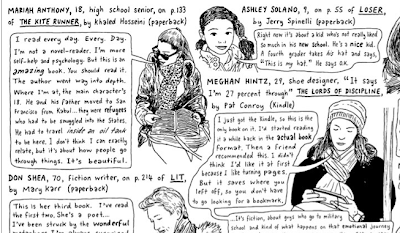 Click here to see the whole image, and check out what everyone was reading. Remember this for the next time you're in Stockholm (as you know, you sometimes are!). Ok, well, no, perhaps not, but you can armchair travel a bit sometimes, can't you? Plus (spoiler alert) if you read far enough into this post, you can discover what Ocee has in common with this library! 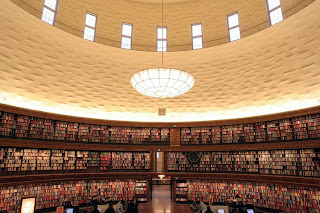 The City Library, which opened in 1928 and was the first in Sweden to allow patrons to choose their own books off the shelves (rather than ask a librarian for them) - an idea they borrowed from America! Inside the rotunda. 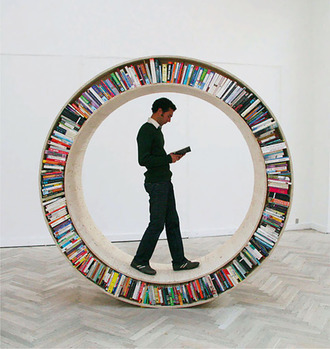 Books circle the room on three different levels. I want to be sitting right there! Something about seeing that many books lined up on shelves, waiting to be checked out, makes my little book-loving heart beat faster (even if I probably couldn't understand a single word in any of them!). "if you cannot find something you are looking for, e.g. books in your own language, ask the staff. 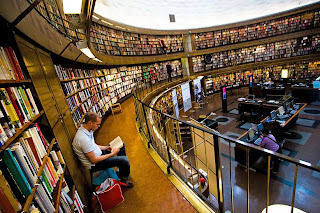 In many cases the library will be able to obtain what you are looking for either by buying the book [emphasis mine] or by borrowing it from another library". My kind of library! 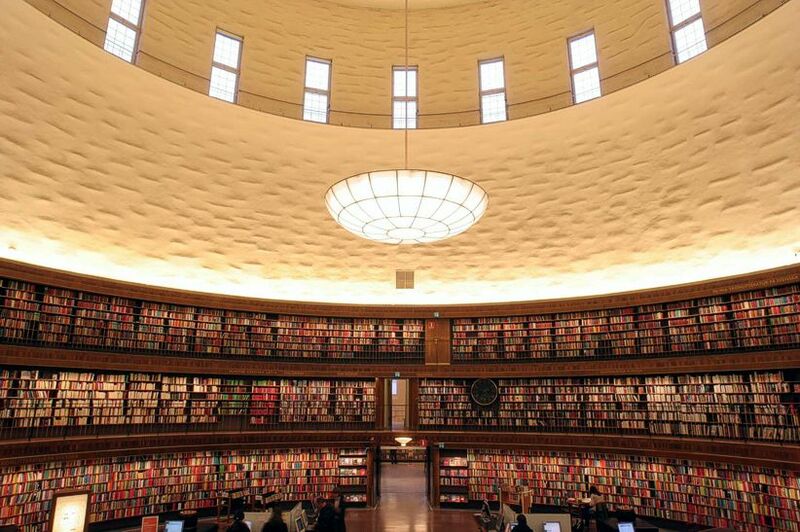 And now (drumroll please) here's what Ocee and the Stockholm library have in common: if you ask at our reference desk, they can also sometimes either buy the book (using money from the Friends!) or get it for you through interlibrary loan. No promises, but definitely give it a try when you're looking for something the system doesn't own! Apparently, the Fulton libraries are full of passionate longings...at least according to the Craigslist Missed Connections section (click on the pics to see full-size). 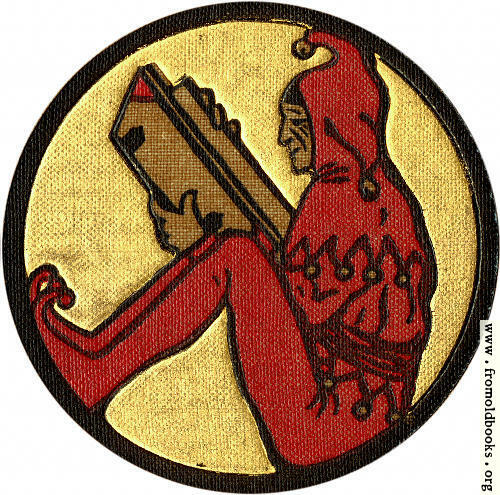 Nobody seems to be looking for anyone from the Ocee Library - should we be insulted or relieved *grin*? We can't say enough good things about the people who work at the Ocee Library, and today Lori (officially our Treasurer, but unofficially our "Provider of all things yummy") put on her annual staff appreciation luncheon. Not only does she make great food, she makes the table beautiful as well! A huge thank you to Lori for all her hard work - the Friends of Ocee wouldn't be the same without her! Go here for a look at the whole collection, and to read more about the doodles. with the idea of a nomadic library that travels with you. ... in the New York Times opinion anyway :). You can read the NYT post here. (Individual book links above take you to the books' listings on Amazon.com, whose Omnivoracious blog also did a story on the NYT list.